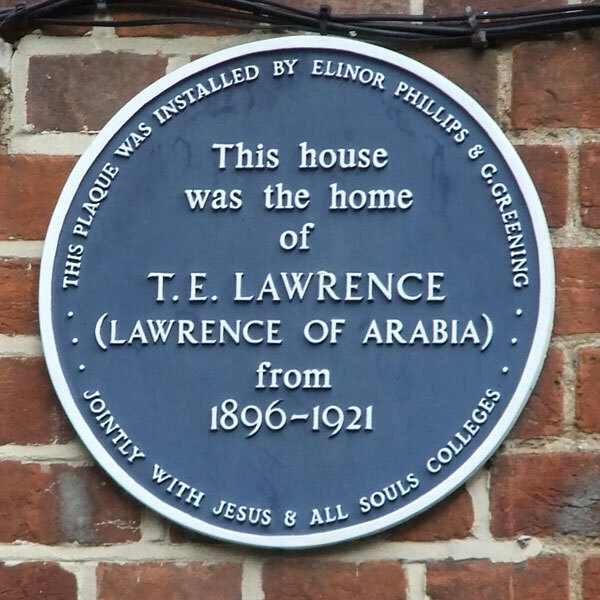 This plaque is on 2 Polstead Road, where T. E. Lawrence (1888–1935) lived from the age of eight. Thomas Edward Lawrence was the illegitimate son of Sir Thomas Chapman and Sarah Junner, a governess. Sir Thomas left his wife to live with Sarah, and they called themselves Mr & Mrs Lawrence. They had five sons together, and after living in Ireland, Wales, Scotland, and Jersey, moved to Oxford in the summer of 1896. 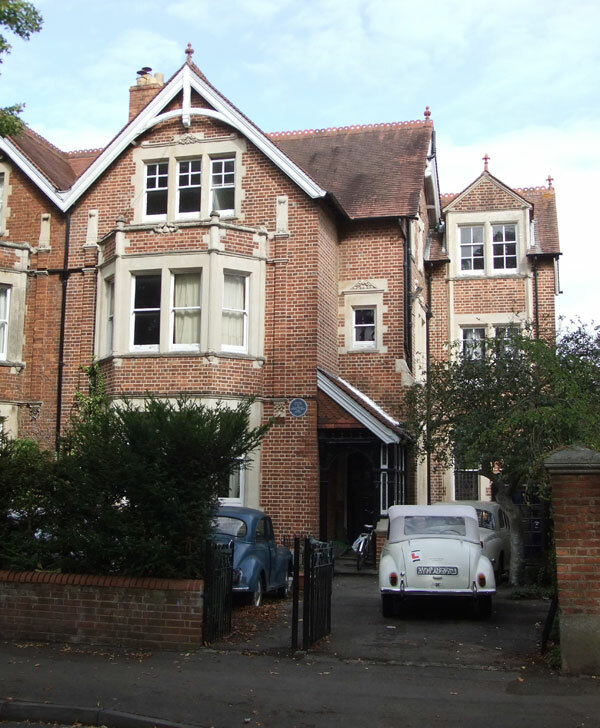 The 1901 census shows the “Lawrences” living at 2 Polstead Road, namely Thomas senior (54), who is described as living on his own means with Sarah (39) and their five sons Montague (15), Thomas himself (12), William (11), Frank (8), and Arnold (4 months). They had two servants (a cook and a housemaid). 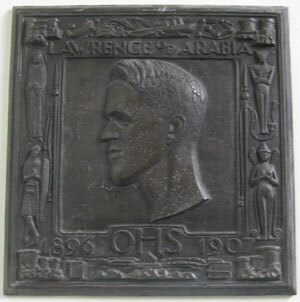 Lawrence attended the City of Oxford High School for boys in George Street, where there is a plaque to him (right) inside the building. His two brothers who were killed in the First World War are listed on the school’s war memorial (below). Lawrence went on to read History at Jesus College, Oxford, gaining a First in 1910. In 1919 he was elected to a seven-year research fellowship at All Souls College.